You probably heard the name Moritz Scharf already. If not, you most certainly heard about Endorphin.es, the makers of the Futrhrrrr Generator, the Shuttle Control and the Terminal. Moritz is one of the two guys who run Endorphin.es, but he’s also a prolific and talented musician. It’s not a rare thing to find that somebody who designs modules is also a musician using them. In previous interviews and Chosen Waves articles we’ve covered a couple of them already (see the interviews with XAOC, Marc Verbos, Meng Qi for example). A lot could be said about this topic (and maybe I will write something about it in the future), but this is Chosen Waves, and here we want to focus on the music! 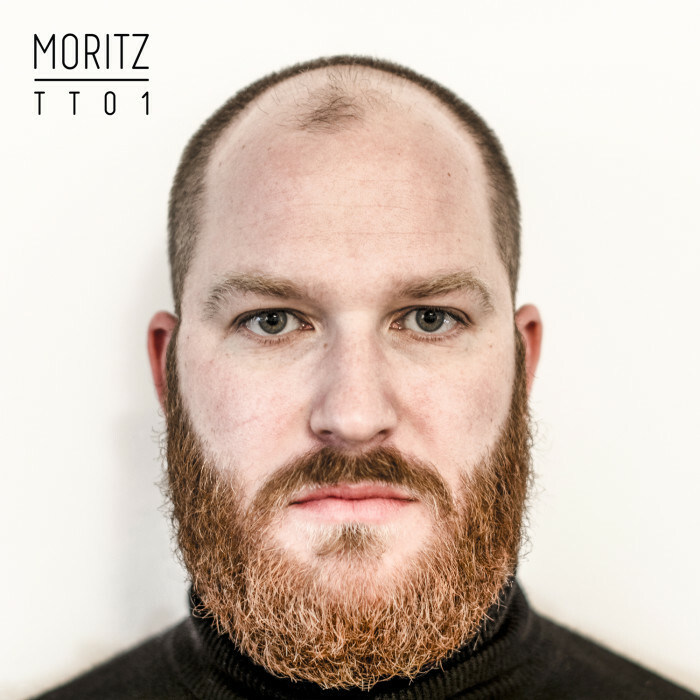 So without further ado, I give you Moritz and the track Elephants (from his recently released album TT01) and a little interview were we talk about his background, influences and musical process. Horizontalpitch: First of all, what’s your musical background, when did you realize that you wanted to make electronic music? Moritz Scharf: As long as I can think, music is my companion! My parents did a lot for my musical education since I was little. They played amazing records to me – Jazz, Blues, Classical. They took me to concerts and supported me to learn how to play instruments (piano and bass). As a teenager I first was into 80ies Pop followed by Hardrock and Punk. Then came Hip Hop and totally blew me away for a few years. My love for Techno developed in the late 90ies in Frankfurt am Main/Germany. Right at this time, while hanging out in the chill out areas of Techno and Goa Trance parties I also got to know the beauty of Downtempo Electronic. In the early 2000s I learned how to use a DAW while my education as a graphic designer. 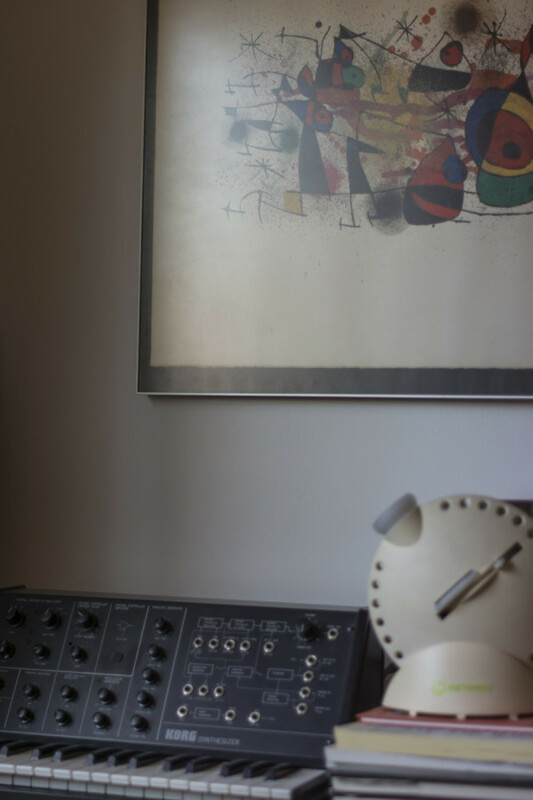 In the moment I got a glimpse of how this piece of software worked I started producing music and tried lots of different styles – from Rap to Singer Songwriter to Electronic. So it was more a logical conclusion than an actual decision, that I ‚ended up‘ making electronic music rather than any other style. HP: We see a lot of techno made with modulars lately, what do you think makes this instrument so interesting for this type of musical production? MS: For me Techno depends on interesting sound design. 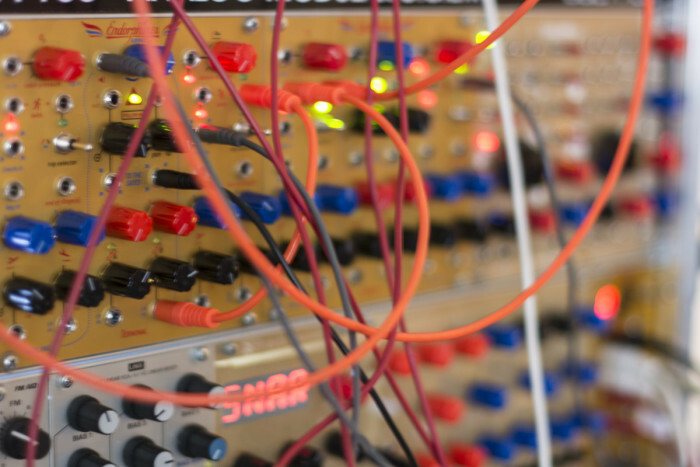 So the Modular is an instrument built for this kind of music as you really have all options to patch the sound you want to hear in your composition – no pre-routed signal flow, no restrictions you decide what modules you use for your particular signature sound. Of course some of the afore named may be done with a VST or a classical keyboard synth, but having one case of hardware, with 3 or even more patches running at the same time and jamming away for hours and never hear the same sound twice is pretty unique. This approach makes it an amazing instrument for live performances too. HP: There is a bit of Berlin-techno in these tracks, how come? Who are your musical heros? HP: What is your relationship with the Austrian electronic music scene? MS: I love it. There are a lot of amazing acts like Buffered Multiple, Austrian Apparel and Ritornell just to name a few. I visit Club MOOZAK (www.facebook.com/moozak) as often as possible to listen to fine national and international experimental live acts. Austria has a vivid growing scene and I’m looking forward to future releases. I try to contribute to the Austrian electronic music scene as my dear friend Bernhard Rasinger (BR-Laser.com) and I are organizing an event called ‚Rack Rash‘. Rack Rash ‚all about modular‘ containing soldering workshops, chats and of course live performances. I guess it’s the first series of events of this kind in Vienna – the next one is scheduled for Saturday 9th of April 2016 – save the date. HP: Let’s talk about the process, how much modular is in these tracks and how exactly did you use it? Is your approach more gestural and inspired by the moment or do you plan things ahead and then try to (re)create them on the machine in a programmatic way? MS: Depending on the track it’s between 70% and 90% modular in there. It’s always my mood, which defines how I approach a recording. Especially when I’m in my studio and have instant access to all my beloved tools. Sometimes I only route a clock from my DAW into my modular and see where the patch takes me to. When I gain the feeling that I’m up to an interesting pattern or a structure, I start recording a few takes with several progressions like breakdowns, sweeps and so on. Then I use this samples to create the next tracks in the project. If I do record a patch at a later stage of the production process, when the arrangement is fixed already, I mostly record the whole synth line with lots of ‚hands on the knobs‘ to get the feeling right and to avoid the need for too much editing afterwards. I think a specific balance between looped material and live improvised or manually altered sounds is the key to the electronic music I like. When I’m composing while on the road, I use VST plug ins to create a sketch of the emotion the final track will contain. I do not put much effort in the sound design while using VSTs, as I know most of the sounds will be substituted by modular sounds, or other synth gear/sound sources in my studio. HP: You are also a part of Endorphin.es, how is making music influencing the module designs and the other way around? MS: All the experience of the last years, all the module testing, the music production, exploring soundscapes, meetings with other synth enthusiasts merges when it comes to the development of new modules. Often the feature sets of new modules are developed for personal needs, as in the Shuttle Control for example. It’s able to send a few constantly changing CC messages without that annoying 127 steps (the data is multiplexed). This was necessary for my production workflow a few years ago, when I had more than one patch on the modular and wanted to control some of the parameters via automation from the DAW so I would have my hands free for the more soulful movements of the patch. That time I was way closer to work right out of the DAW instead of letting my mind connect to the modular and do some ‚free-form synthesis‘. So, there is no option for making music without thinking about new ideas for functions of modules, neither can I create music without trying to push the boundaries of modules. But it doesn’t distract me from making music. It’s like a ‚black box‘ that automatically records problems and ideas for solutions while playing the modular. HP: There are a lot of West-Coast inspired approaches in Endorphin.es modules, how much of that is in your music? MS: I would call myself a very structured person, but I do love a little randomness. With ‚TT01‘ (Tender Tec 01) the concept is to keep the tempo at 116 BPM to give enough space for harmonic content between the beats. It’s danceable electronic music made out of pretty straight grooves and more or less classical patterns. But many of the sounds used are recordings of weird patches that were never meant to be played with a keyboard. The sound design part for me is the most satisfying part of the whole process. Sitting with a patch for a while and see where the trip goes to and then use what the machine is willing to give me – whether it is drones, complex rhythmical stuff or self developing patches. If you consider this being a ‚West Coast approach‘, then I have a lot of this in my music, yes. 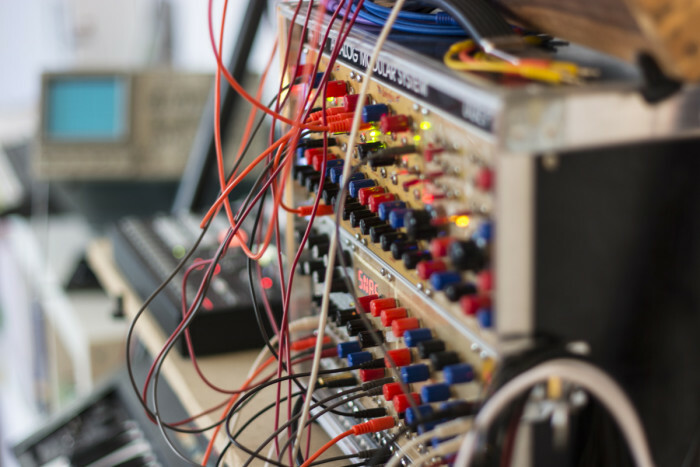 HP: When making music, do you regard the modular more as an instrument that you play or as a sound-design machine? MS: Isn’t this totally depending on your personal condition at the moment you turn on the synth? My modular is to me, whatever I want it to be in the second I get to use it. Sometimes I just feel the urge to get off the stress of a long busy day, another time maybe I simply want to record some notes for a bassline and the next time somebody asks me to do a sound design for a theater play or an installation. You make it what you need it to be – it’s a modular. HP: Do you also perform these tracks live, and if so, how do you approach a live set with the modular? MS: No. The tracks released on ‚TT01‘ include a lot of recorded material. I would need to perform it using Ableton Live as a sampler. This is not how I want to present my music to an audience. There are too many ‚live acts‘ out there doing it this way. When I was doing modular live performances in the past I usually did the ‚Bleeps and Bloops‘ thing. But while working on ‚TT01‘ I found out that I was really intrigued by the idea of performing something like that live. So I began developing a live set using a step sequencer, a drum machine and a Eurorack modular. Nothing too fancy, just a nice little setup capable of producing lots of different sounds. The tracks to be performed with this setup may be more simple, punchy and therefore more club friendly in concerns of the ‚dancyness‘, but we’ll see. I’m writing new material for this project, which gives me the possibility of working with a few prepared patterns, mangle and rework them while playing live and then improvise the sounds at the very moment. So every time I’ll perform, this will be a new live set – for the audience as well as for me. HP: So, where do people find ‚TT01‘? If you have suggestions for music I may like, feel free to post them to me. Music makes people happy, spread some love!